Who doesn't love those little segments of mandarin oranges that come in a can? They're sweet and petite and add a nice pop of flavor to fruit salads, desserts, and ambrosia salad. 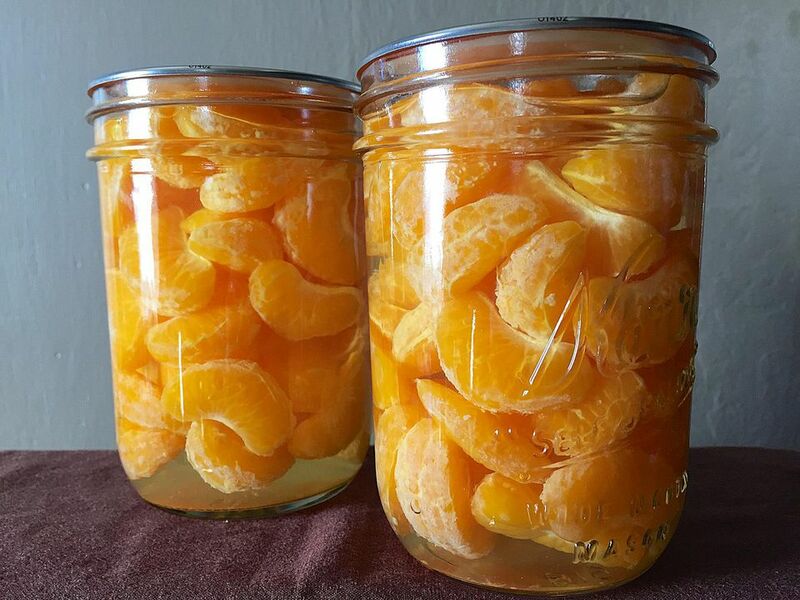 Canning your own mandarin orange slices is surprisingly easy. The hardest part is peeling the slices as meticulously as possible. The white pith that clings to the skins of the segments can impart a sharp, bitter flavor in the can. These days, many modern varieties of mandarins, clementines, and tangerines are bred for easy peeling, so this job is not so hard. All citrus fruit is sufficiently high in acid, so they can be canned in plain water. This same method can be used to preserve other citrus. In the case of oranges and grapefruit, it's best to section, or supreme, the fruit with a knife for cleaner segments. Once the segments are peeled, it's simply a matter of packing jars and canning. You'll be done in no time! Prepare your canner and jars. Peel the mandarin oranges and discard the peels. Separate the segments, and carefully remove the pith from the exteriors and cores. Make a light syrup by combining the water and sugar in a saucepan over medium heat. Stir to dissolve. Keep warm, but do not boil. When the syrup is ready, pack the mandarin segments into the jars. Pour in the syrup, leaving 1/2 inches of headspace. Apply lids and rings, and process using a standard water bath canning process for 10 minutes.